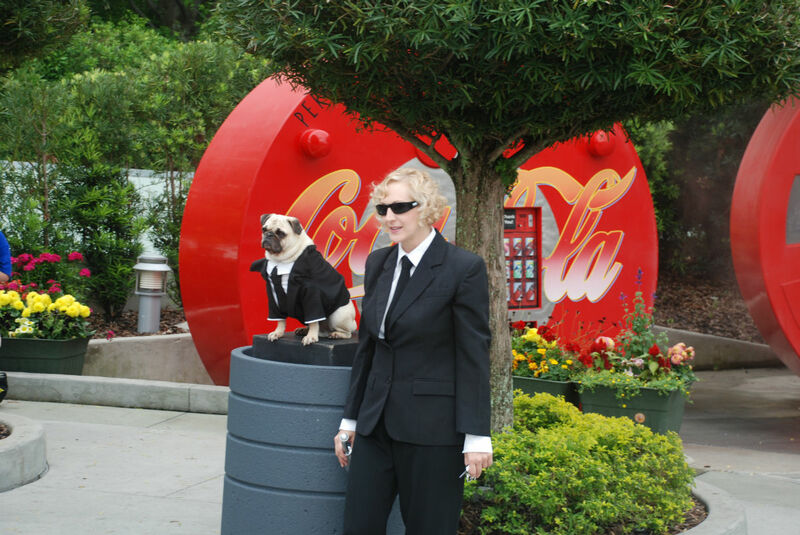 Guests get to see Men In Black’s Frank the Pug during the underrated Animal Actors on Location show, but during the busy weeks you may also see him out in the park. In fact, while you are battling the crowds between Christmas and New Year’s, you’re going to be treated to a plethora of walk around characters and “streetmosphere” that are much harder to experience during the less busier weeks. In Islands of Adventure your chances of meeting characters like Dr. Doom and the Green Goblin increase, while in Universal Studios Florida you may see an amazing street performance where person builds a tower structure out of wooden chairs and then climbs to the top. 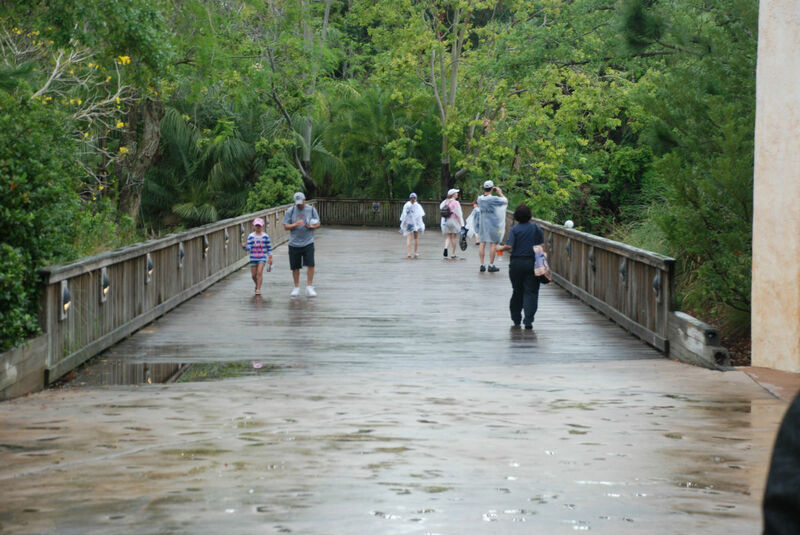 During the busier times of the year, the “temporary” bridge is opened up, allowing guests to go to Jurassic Park or Lost Continent while bypassing the more-than-likely crowded WWOHP. In fact, during the busiest parts of the week guests are not allowed to enter WWOHP from the Jurassic Park bridge and must only enter through main Hogsmeade Village entrance located near the Eighth Voyage of Sinbad. A queue for a $5 air dryer. Seriously. Nancy Sinatra has a song titled These Boots Were Made For Walking, but during the week of Christmas those boots were made for Standing. Not only will you see rarely-used extended queues in use (which will have you standing under the covered area outside the Transformers: The Ride 3-D building or allow you to see the statue of J. Jonah Jameson in the Amazing Adventures of Spider-Man courtyard), but you’ll even be standing in line for things like the air dryers outside of the water rides like Dudley Do-Right’s Ripsaw Falls. These dryers cost $5 a pop and during most of the year sit unused, but during busy weeks people actually stand in line for them. Why? Who knows. Wimpy’s in its normal state, closed. If you consider yourself a theme park foodie, the week between Christmas and New Year’s is a great one to go because everything is open. 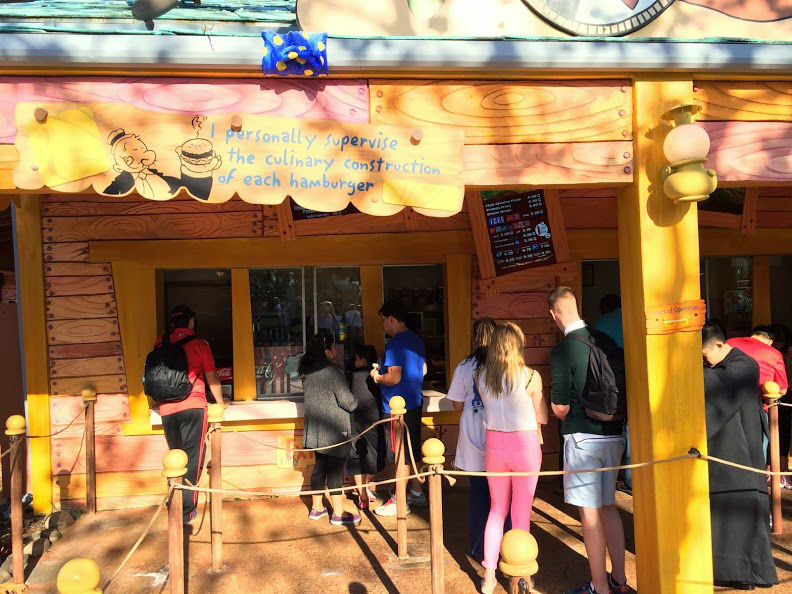 All of the “seasonal” restaurants are open, and a whole bunch of snack and drink carts are rolled out into the park. Restaurants such as Cafe La Bamba, Captain America Diner, and Green Eggs ‘n Ham are not always open during the slower times of the year, but you can bet they will be open when the park is at its busiest. While no one is going to argue that any of those restaurants are fine dining, they each bring something unique to the table for guests: La Bamba with an interesting menu, Cap Diner’s seating area has the best view of the park for any IOA restaurant; and Green Eggs ‘n Ham has the one and only Green Eggs ‘n Ham sandwich. 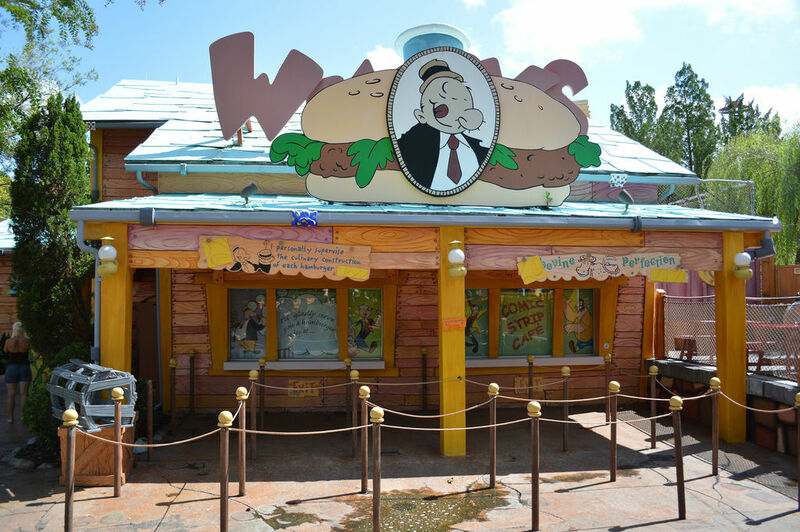 Personally, every time I go to Islands of Adventure, I look to see if Wimpy’s is open, but it always has a sign directing people to Comic Strip Cafe. However, during Christmas week Wimpy’s is open for business. This holiday season Wimpy’s even has the new digital menus that have only recently started to appear at restaurants that are open all year long like Confisco Grille and Mythos. With rarely seen characters and restaurants brought back into rotation, in some ways, the week between Christmas and New Year’s is almost like a resort wide Long Lost Friends week for Universal. A line to get into a line. 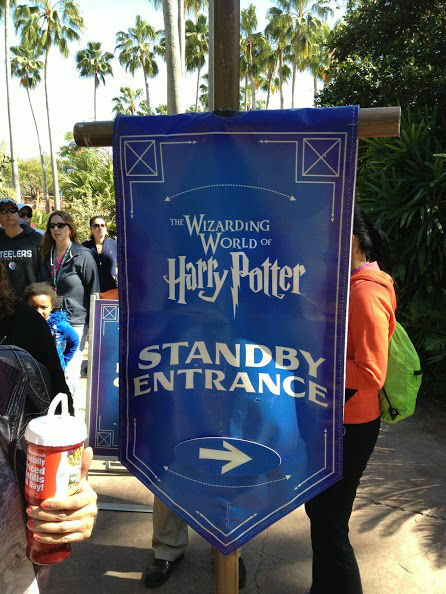 Let’s hope this never happens to you, but during some of the busier times of the year, entrance to the WWOHP goes through something similar to Walt Disney World’s phased closures. WWOHP goes straight to their version of Phase 4, though, and just locks down the entire area and forces anyone new to go to a separate standby line or pick up a return ticket. When the area reaches capacity, the Hogsmeade Village entrance to WWOHP is roped off, and the bridge that leads to Jurassic Park becomes exit only. Guests will see Universal Team Members holding blue signs that will direct them to a standby queue or a place to pick up a return time ticket. I always think it is better to get a return time that will allow you to check out other areas of the park while you wait, but you can always take a chance on getting into WWOHP earlier by getting into the standby queue. 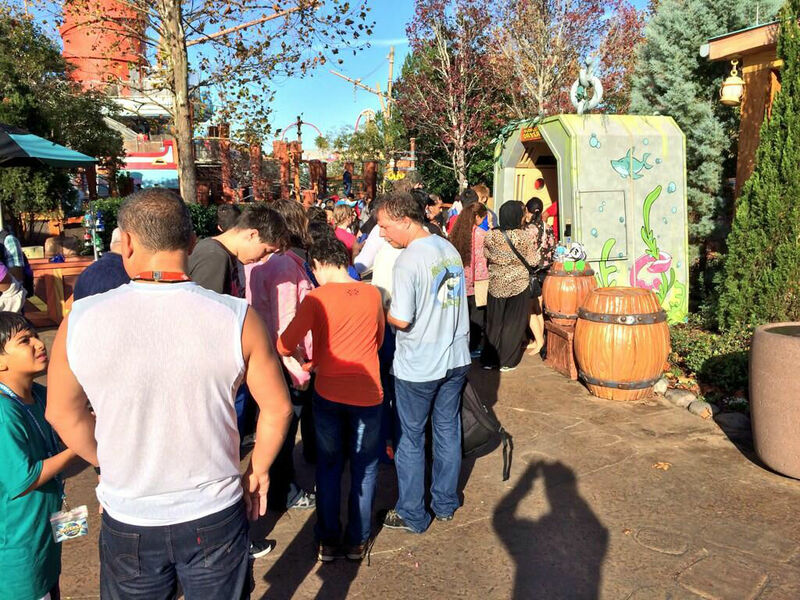 Thankfully, even during Christmas week it’s rare for WWOHP to hit capacity. 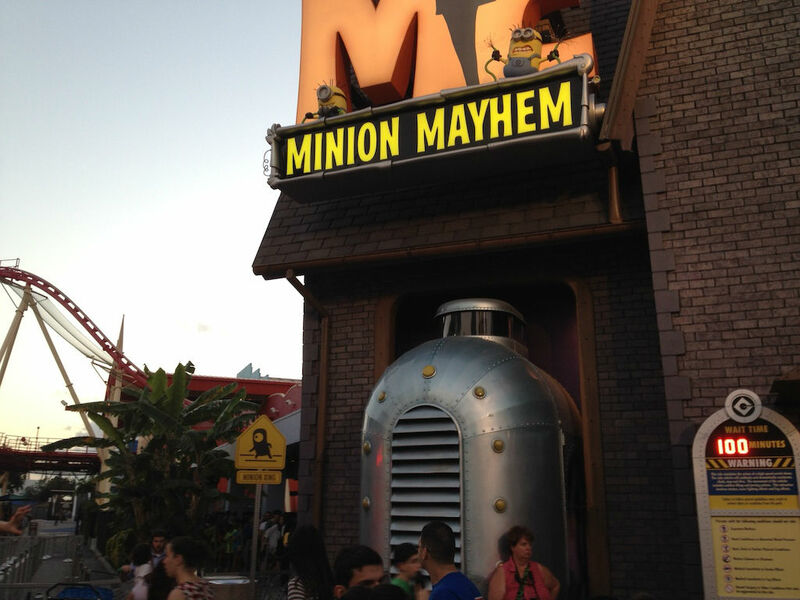 During Christmas week a few of the more popular rides (including Harry Potter and the Forbidden Journey, Rip Ride Rockit, and Despicable Me Minion Mayhem) can have some abnormally high wait times, sometimes even hitting 100 minutes or more. Think about it, 100 minutes. Your average movie is going to run about 90 minutes. While waiting in line for some attractions you could have watched an entire movie. It seems almost unthinkable, but it has become a part of our theme park life. Look at the bright side, some attractions at Walt Disney World such as Space Mountain, Peter Pan, and Soarin’ have seen 180 to 300 minute waits, while Universal very rarely goes over 100 minutes. On a serious note, with solid planning, realistic expectations, and a positive attitude, going to the theme parks even during the busiest times can be a lot of fun. So there you have it: six things you may see at Universal during the week of Christmas and New Year’s Day. See you next weekend for the latest edition of the Saturday Six. If you had fun, be sure to check out The Magic, The Memories, and Merch! articles or, for your listening pleasure, check out Pardon the Pixie Dust podcast. This Week On TouringPlans YouTube Channel: Everest, Omnibuses, Seafood Crepes, and More! October 25, 2013 Guy Selga Jr. Comments Off on This Week On TouringPlans YouTube Channel: Everest, Omnibuses, Seafood Crepes, and More! Just a Heads up that Dr. Doom and Green Goblin meet every day at IOA. They appear right after the heroes leave. Yes, once the Green Goblin jumped into my (easily startled) daughter’s face during one of our May trips. That cost me a couple of Moose Juice and some time in The Cat in the Hat to effect a calm down. Thanks for the info Kenny. Steve, I’ve also seen some very “villain” like behavior from the Goblin. In fact last week I was watching him leave (presumably to take a break) and was walking through the extended queue of Spider-man (which was empty at the time) to backstage. Even though I was probably the only one watching, he started to bang on the outside walls of the show building to scare the people inside the queue. It was great. That’s a commitment to character!